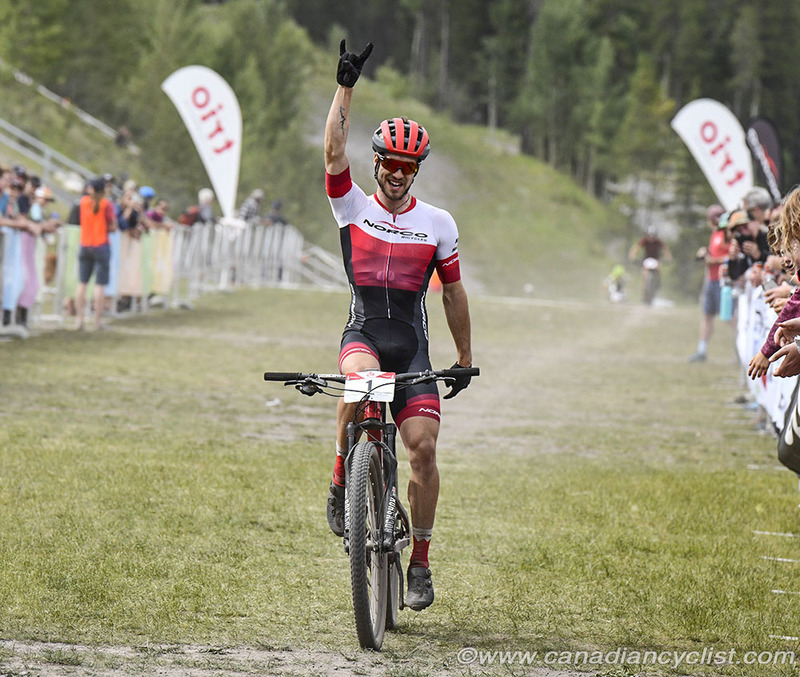 Canadian Elite men's cross-country champion Peter Disera is already off to a strong start for the 2019 season, winning the first round of the Canada Cup series at Bear Mountain, and finishing second at the U.S. Cup at Vail Lake. This year is his second at the Elite level, and we sat down to have a conversation with Peter at Bear Mountain, starting with what is was like to move up to the Elite ranks from Under-23. "It was definitely interesting. 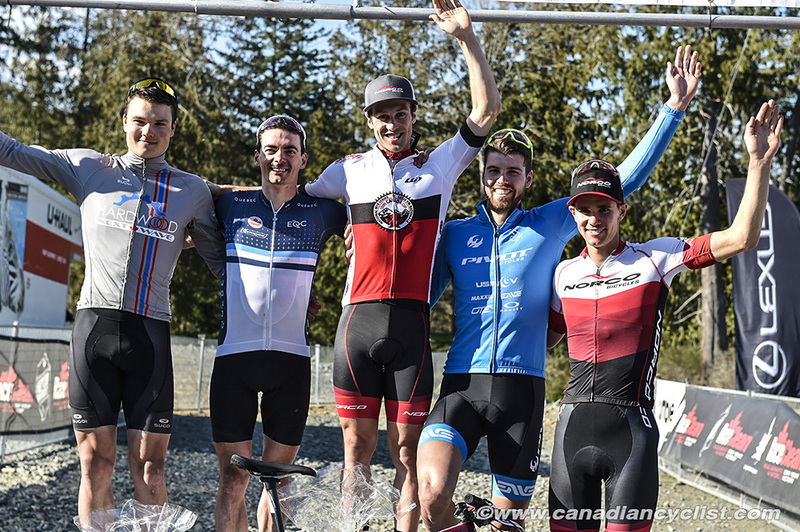 From a domestic racing point of view it wasn't as much of a shock to the system because I had been doing pro level races in the U.S. and Canada against those guys, and I raced up [from Under-23] at Nationals and won, which was a big confidence boost. But over in Europe and in South Africa at the first World Cup it was a bit of a shake up." Peter was also carrying a full load of courses at university. "It was challenging with school as well, so I didn't have too many expectations for the first three World Cups. But in hindsight, those were the best World Cups of the season for me; I had a bit of a fade off in performance at the end of the season. Worlds was actually quite a good race for me, although the results don't show it with a flat and some hiccups at the start - I crashed three times. I was happy with that performance after a dip at La Bresse and Val di Sole." "I finished my Water Resources Engineering degree in December [Guelph University], so the Fall  was busy, but what a relief for January, February and March to not have to try and juggle everything. It was a heavy five and half, six years, but I came out relatively unscathed. So now I can be a full time pro." For the first time, Peter is able to devote himself to cycling, racing with the Norco Factory Team, and it has shown with strong results. "So I'm really appreciative of now being able to go do a stage race in the middle of February, in Greece, or be able to do U.S. Cups without having to organize it around midterms or finals." "I think the early season results are tied to the effectiveness of my training. It has really been stepped up now that I am able to focus rather than being split between school and cycling. One of the big themes is volume and recovery. Those things - volume, recovery and school ... you have to choose two of the three. Now, my training hasn't necessarily drastically increased, but I'm able to rest and be more effective." "I am super jazzed to have good results at the U.S. Cups - in the past, Bonelli has my first race of the season and normally I'm not too pleased with my performance, but it was cool to see that I had made another step." 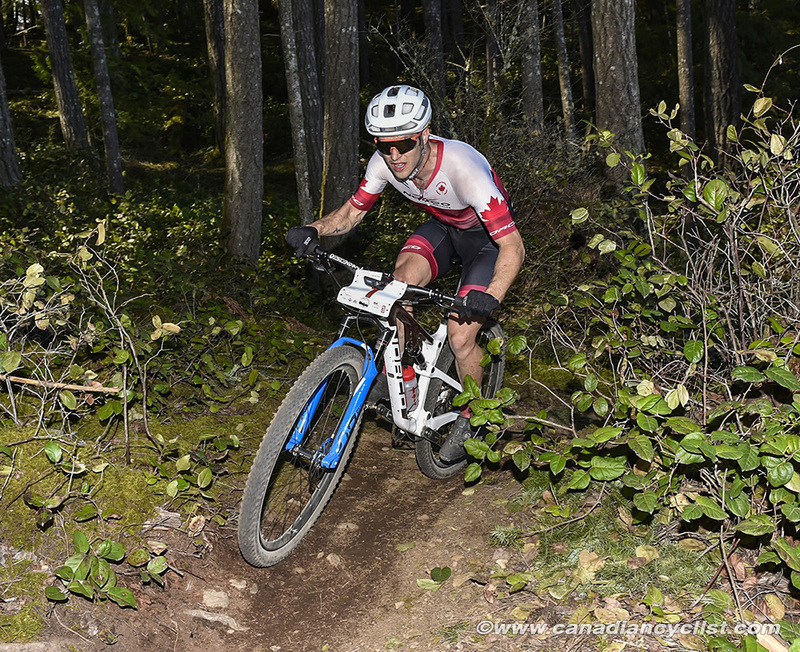 After winning at the Bear Mountain Canada Cup, Peter spent the week in Victoria, training with team mates Haley Smith and Andrew L'Esperance, before heading down to Sea Otter this weekend. "Sea Otter is bigger this year for us as a team; in the past we've been able to fly under the radar a bit, but this year there are sponsor releases and commitments; there's more demand on the athletes. In the past, it's just been going in and saying hi, but now everybody wants a bit of us. It's super exciting to be a part of that and we are more than happy to do it as developing pros, it's cool." That will end the first big international block of the season. "After Sea Otter, it's back home and I'm really looking forward to that month at home before heading to the World Cups. Just to get some good training in at home with my brother and the other crazy athletes in the area like [Jenn] Jackson, [Gunnar] Holmgren and everybody. A good time to get out on our bikes and put the final touches in before the World Cups. It's just exciting to see the progress and everything falling together." However, he will be racing for the first time at one of the local season-openers - Paris to Ancaster. "The Norco Factory Team will be represented at Paris-Ancaster by Quinton and I. The pressure has been applied for that event and it should be interesting." This year, with a season at the Elite level under his belt, Peter has some specific goals on what he wants to accomplish. "Last year, my best result was 28th at Albstadt in the crazy mud and my worse results were getting pulled in Val di Sole and La Bresse. So, I'd like to be a bit more consistent. That's something I was able to do as a final year Under-23 - I was able to be top-10 for most of the World Cups, and I want to bring that level of professionalism and performance to the World Cups this year. I think we have a good plan and have laid a good foundation to do that." "But in terms of what I want to accomplish with a tangible, numerical result ... we are into Olympic selections, so top-16, top-20, just to show what I am capable of. I know that if everything falls right on the day, that I can stretch for that. But this year I've put more focus on not point-hunting, but more strategic race planning; again, we are heading into Olympic nation qualifying and we want to get two spots if we can." "For myself I have set out a personal goal of wanting to start the Short Tracks, which means I have got to be top-40 in the UCI ranking, and I'm on the bubble [note: with some previous results now dropped, he is currently 49th, 36 points out of 40th]. Realistically, I'm probably not going to start the Short Tracks at the first two World Cups - maybe Nove Mesto [Round 2] if I do well in Albstadt. But that's okay, because there is an advantage that you don't have to do that [physical] expenditure two days before the race." This year the world championships are in Mont-Ste-Anne, giving Canadians a chance to compete at Worlds, at home. "I was asked that before [competing at home], and I wasn't too happy with my answer - that I was happy it was in Canada because I wouldn't have a long trip for one 90 minute race. Instead, I want to focus on the fact that it is awesome that it is in Canada, and that university and high school friends can jump in their cars and come see Worlds, what it is that I do. It's a unique opportunity to grow the sport and show what we have; to have some home town heroes. It's a good time; we are on a great upward trend as a country, and I think it would be cool to get people jazzed and interested in the sport." 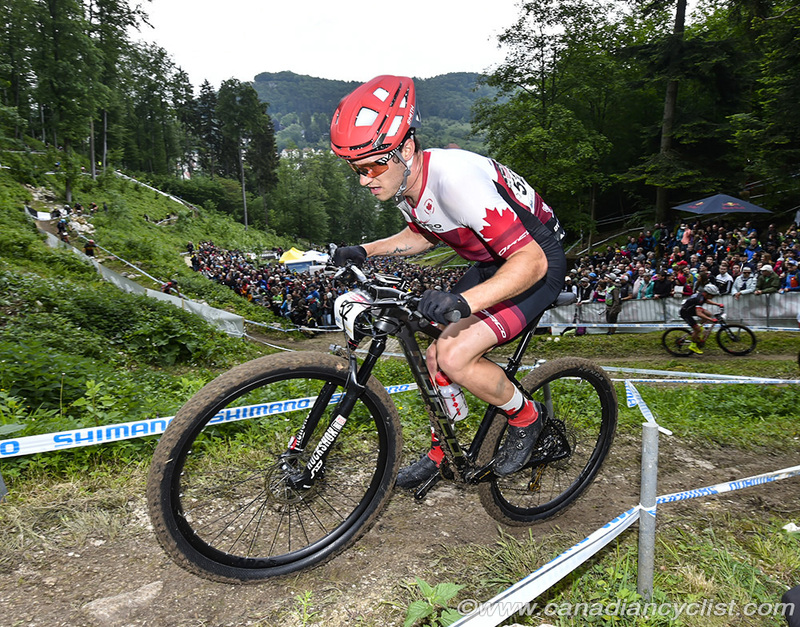 Now that the Olympic qualification period has opened for the 2020 Games, Peter, like the rest of Canada's top riders, has started to think about it. For 2020, the qualification numbers have changed, with the top-2 ranked nations getting two spots, nations ranked three (3) to seven (7) receiving two spots, and nations in the 8-21 spots receiving one. Canada has already qualified one spot with Raphael Gagne's Pan American Championship win last week, and is currently ranked 13th for men. "Without singling people, I would say there are four elite men and two and half Under-23 men which I think are potential players [he would not elaborate on the 'half']. I think it is super cool that there is going to be an Under-23 clause in the Olympic selection criteria [note: the final Canadian selection criteria have not yet been released]." "It's totally on my mind, it's on everybody's mind. It's a little taboo to talk about it, but it is so obvious that we are all chasing it. So, it's going to be guns a blazing at the World Cups to get those points. For myself, being 2019 and not 2020, my goal is going to be to try and up our nation's ranking and hit that spot where we get two places. If I can do it and get a top-16 [the usual requirement for the Olympic selection pool] then I'll do that. But the individual spot is more of a 2020 thing. My goal is that it is a non-decision, that it will be cut-and-dried as to where I stand."